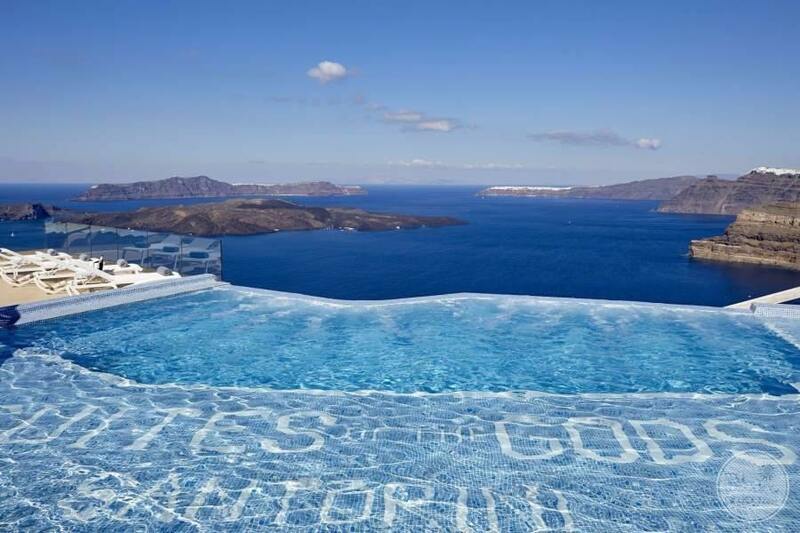 The luxury resort that is the ‘Suites of the Gods’ is considered to be in one of the finest spots on the island. 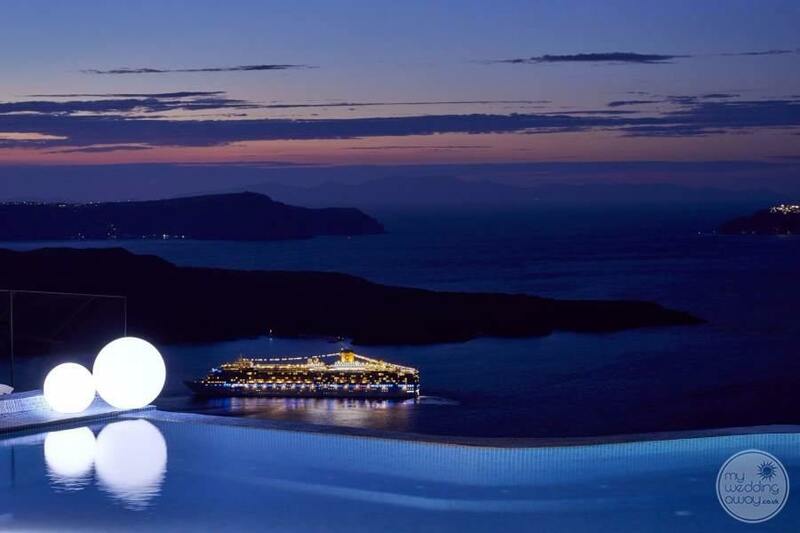 From here, you can enjoy views of the volcano, the blue Aegean Sea and the infamous Santorini sunsets. This is undoubtedly a fabulous choice for a destination wedding. This is an adults-only retreat and as such, you can expect an ambience of quiet sophistication. Cool mornings are a great time to explore the island and the expert ‘Guest Relations Team’ are on hand to arrange excursions such as boat trips, private island tours and wine tasting experiences. Afternoons, are best spent at the poolside. Here, your waiter will enjoy getting to know your favourite tipple. 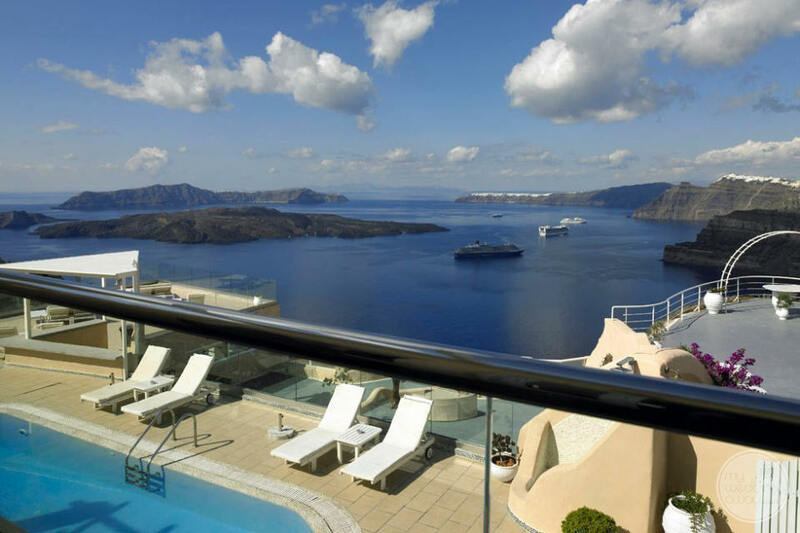 While, you take in the unrivaled view over Santorini’s ancient volcanic crater, filled with the blue waters of the Aegean. 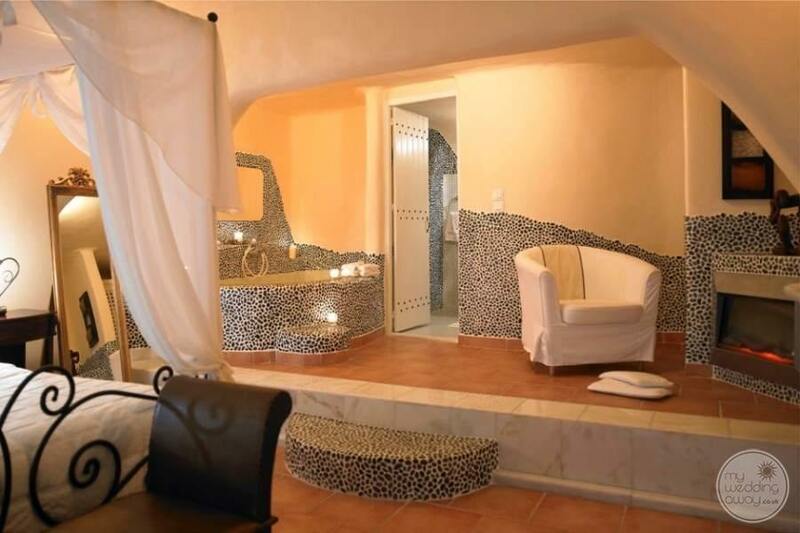 Romantic couples will love the ‘Spa of the Gods’ which is housed inside a 100 year old cave. An array of treatments, both invigorating and relaxing, are available here in the most magical of settings. Dining is, of course, a most important part of any stay. 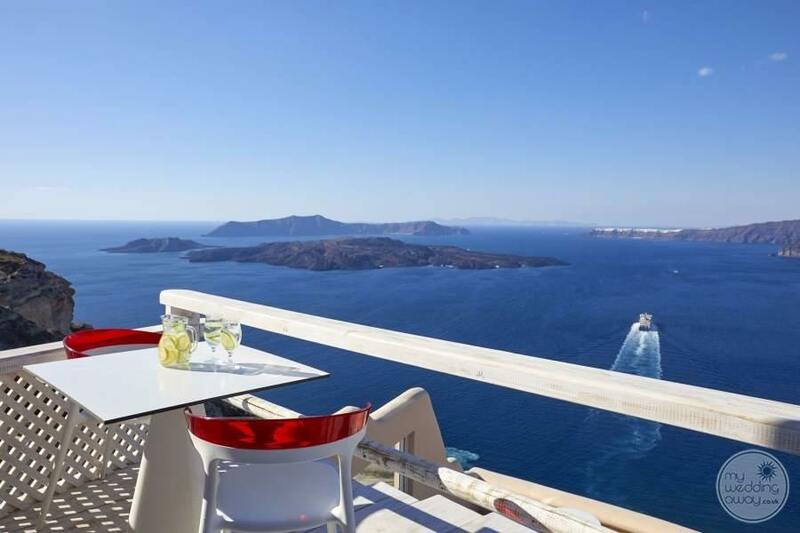 Rest assured, the “Celebrities Restaurant” serves exquisite dishes inspired by the local Greek cuisine. Using only the finest ingredients, combined with their large selection of wines, the food here is sure to exceed your expectations. 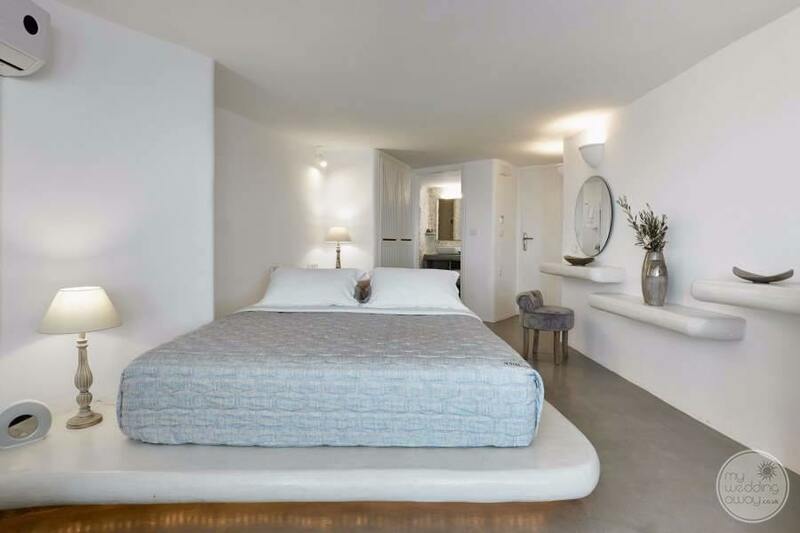 All of the “Suites of the Gods” have been constructed to reflect the beauty of Santorini’s Cycladic architecture. 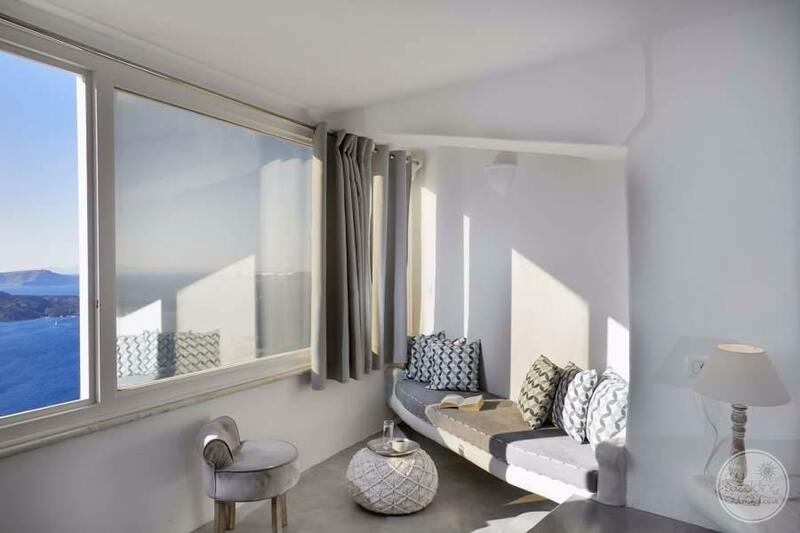 Each suite has been designed according to a theme, romantically bearing the names of the famous Greek Gods, such as Aphrodite. Have we mentioned the view yet? 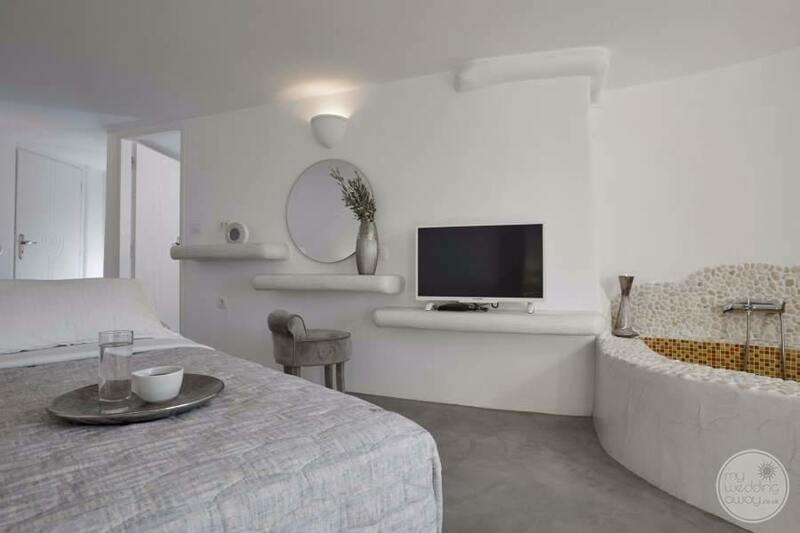 That’s right, each suite looks towards the volcano and so, you’ll wake to the sound of the waves and at the end of the day, watch as the sun dips. 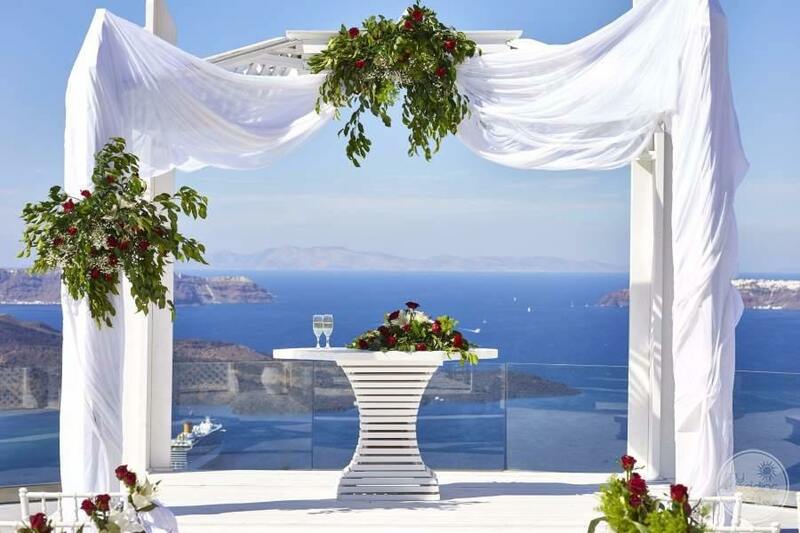 You’ve made the wonderful choice to get married on Santorini and such a special day requires an equally special venue. 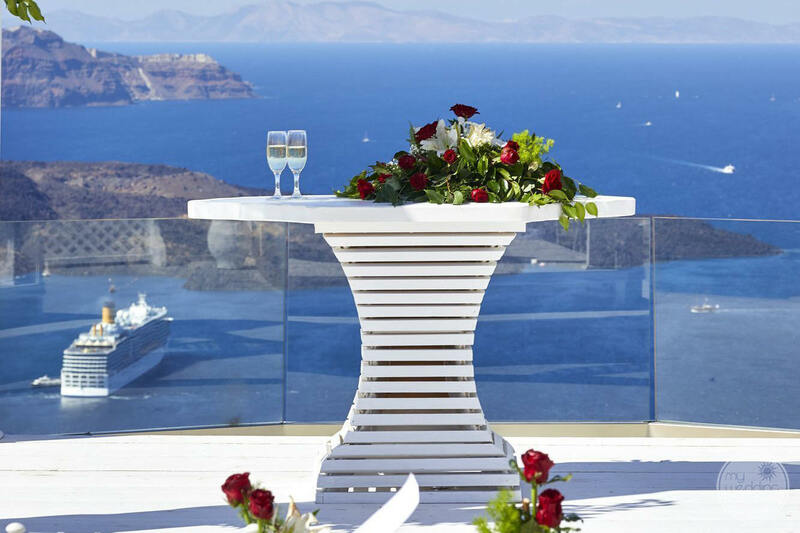 The Suites of the Gods complex offers enviable locations from which to exchange your vows surrounded by friends, family and the most incredible scenery. 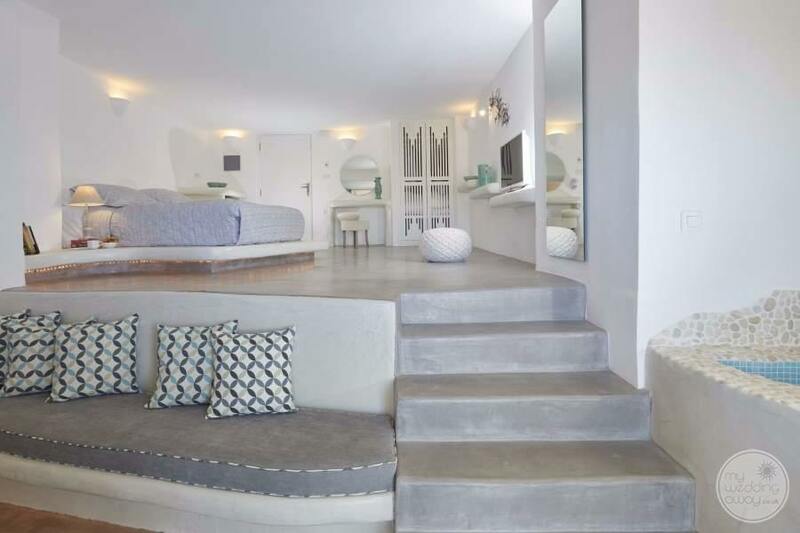 Imagine, chic furnishings and classic floral arrangements against a backdrop of pale blue skies and azure blue sea. As evening draws, laughter and celebrations continue as the sun sets. A wedding at the Suites of the Gods can be anything you wish it to be. Most of all, it is a bespoke affair. Every flower, every twinkly light, every morsel of food chosen by you, in order to create a unique event that you will remember always.